The Hitch Hiker CB (Concealed Brake System) is an ideal way to transport an additional child behind a pram or stroller. The Hitch Hiker CB is a board that attaches to the rear of the pram or stroller. It is a fun way of transporting toddlers. The toddler must be able to stand confidently upright without aid, be under constant supervision and weigh less than 30Kg to safely ride on the Hitch Hiker CB. 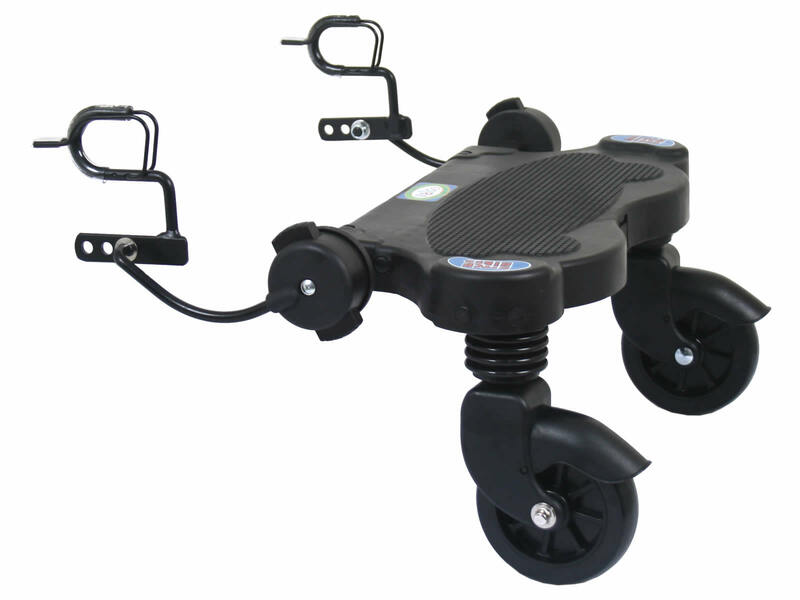 This Hitch Hiker CB will fit the Rebel Q and other prams with concealed brake systems.